Adam Golden has been a resident of the East Bay area for over 25 years. After a successful career in Information Technology at Accenture, Adam left Systems Consulting in 2002 for a career in Real Estate. It has now been over 16 years and, for Adam, being a Realtor has allowed him to take better advantage of the things he loves about being a professional – working with people, solving problems, and making clients happy. On his own home front, Adam and his wife Jessica are very proud parents to their two children, ages 16 and 13. 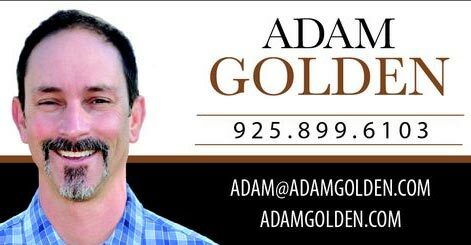 When he’s not working with his clients, Adam can be found at Emerald Glen or Central Park, San Ramon or Pleasanton Farmer’s Market, Fitness 19, Amakara or Katy’s Korner (great breakfast!) loving life in his hometown with his family.